Image-guidance systems (IGS) have gained widespread use in endoscopic sinus surgery (ESS) and have been thoroughly analysed. In this study, we looked for a new parameter to determine if patients could directly benefit from the use of IGS during primary ESS. We questioned if IGS could improve the quality of ESS in chronic rhinosinusitis (CRS) patients via allowing a more comprehensive treatment of all involved sinus compartments. 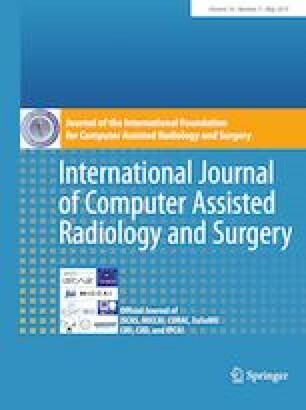 In a pilot feasibility study, we evaluated uncomplicated CRS patients following primary ESS with and without IGS between January 2011 and June 2012 using preoperative and postoperative CT scans. The preoperative CT scans identified the sinus compartments requiring surgery. The postoperative CT scans were used to evaluate the treatment effect in these compartments. From these data, we calculated a missing ratio (missed compartments/compartments requiring surgery) for each patient. Of the 169 ESS patients who were treated, ten patients were retrospectively identified as complying with the inclusion and exclusion criteria following ESS with IGS. Ten patients treated without IGS were then randomly chosen. The median missing ratio for non-IGS patients was 36%, and for IGS patients, the median missing ratio was 0% (p = 0.046). However, the missing ratio was depended on the number of compartments requiring surgery. Stratification of the number of compartments requiring surgery resulted in an exact p value of 0.13. IGS could help the surgeon to more completely address diseased sinus compartments. For better scientific merit, a comparative study of ESS with and without IGS seems feasible, using the proposed failing score missed compartments/compartments requiring surgery as the primary outcome parameter.